IDK if you guys watch Knowing Bros or "Ask Us Anything". I had an accident this morning and hit my head so was convalescing against my will thanks to my husband forcefully removing me from my office. Apparently heading to work instead of the hospital as instructed by the doctor was a no-no. So there's a segment where the new transfers ask questions about themselves to the class and whoever gets it wrong gets hit with a toy hammer. Yunho goes first while Changmin takes a seat with the other students. His first question was: What is my favourite type of girl? There's a lot of noise of course with Changmin saying they're going to have clones camping at their door and haunting the SM building. A lot of general noise as the guys all guess. There are a couple of guesses and IDK what they were cos irrelevant hahahaha but they got hit. Then Heechul who has been quiet puts up his hand and says. 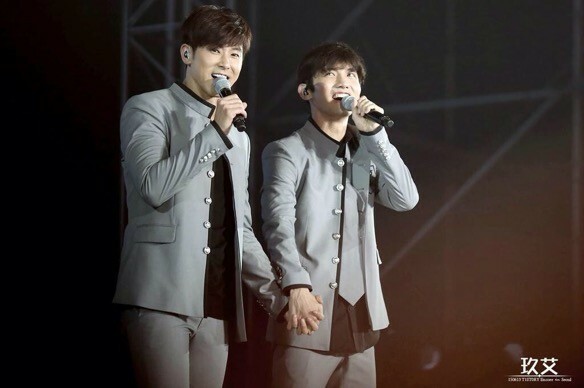 Changmin was actually convulsing in laughter and Yunho was super flustered. And yet he never once hit Heechul. Changmin did kick the guy on his behalf probably but yeah. And then...OFC cos it's my dream, a third transfer student suddenly arrives, a little late, a little frazzled, and a lot of gorgeous. A blushing blond enters complete with uniform and cute little back pack and all hell breaks loose. Seriously the guys went wild. IDK what happened to Yunho or Changmin but all the students (except Heechul) stood up. Jang Hoon (the basketball guy, I probably got his name wrong but eh) was actually slackjawed. He kinda looks at Heechul and said "I thought you were pretty but..." and he visibly gulps. Like swallows hard. Heechul being Heechul gets up all huffy and annoyed and goes to the lecturn where Yunho still is and who is at the moment totally and absolutely bewildered. He then plasters himself to Yunho the only way Heechul can and was all smug like PEOPLE USED TO MISTAKE ME FOR HIS GIRLFRIEND. 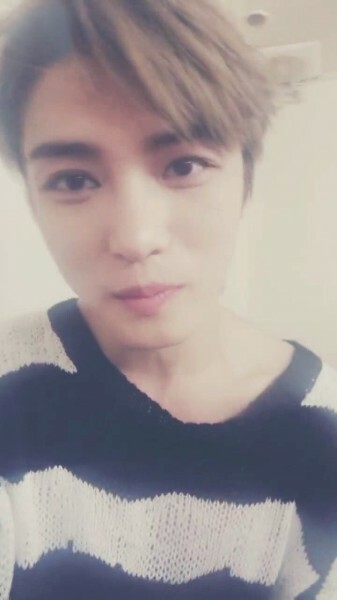 Bye bye blushing Jaejoong. Cat fight anyone? I dozed for like 15mins. I WANT THE DREAM TO CONTINUE!!!!!!!!!!!!!!!! 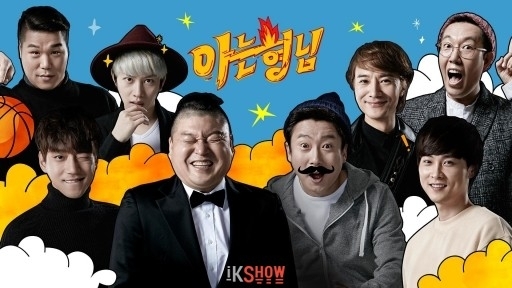 I totally watch Knowing Bros just for Heechul. Anyway did your head hurt much? Rest well Nicki. Now I know where your creativity came from. Your imagine world is amazing. Btw how is your head? It's really a shame that you can't pick up where you left off in dreams.... especially good ones like this! I hope every turns out well. I'm sorry you had an accident 😟and I'm still thinking of your friend. I hope things are getting better for her. LMAO! I want your dream! So entertaining! PS: I haven't read Round and round yet cause I didn't watch Goblin. So I thought I wanna read up about Goblin before reading Round and round. I need this dream to become a reality. I wish my dreams were as amazing as this. i smell a new AU HighSchool! fanfic >..